The focus when it comes to order picking is usually (and justifiably) on the fastest-moving product. You slot your warehouse for fast movers. You pareto-focus on the 20% of the product that generates 80% of the business, as you should. But it’s also useful to consider the slow-moving inventory and pick locations. Simply putting the slowest movers in the least accessible area may make them consume more order picking time and storage space than necessary. The typical advice for how to place slow movers works well. You slot them into a side aisle so that they don’t take valuable real estate up near the forward picking areas that should be reserved for the fastest movers. You don’t mix them with frequently-picked items. This is pretty standard advice that nearly any consultant or layout expert will give you. Sometimes your slow movers can be highly profitable. Understanding them, how to slot them, and how to store them, can enhance everything you do. 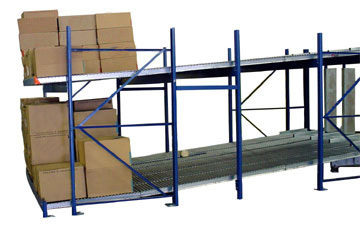 If order pickers are using carts and moving to storage positions, you’ll often utilize shelving, racks, or other “static” storage methods. You could store these types of items in carton flow, but that’s better reserved for faster moving SKU’s. When storage is slotted out, these are the types of items that can be stored on lower shelves, since they aren’t accessed all that often (This assumes they are not heavy, and will not cause ergonomic issues). If you’re executing classic, picking cart-based batch picks, a shelf type picking cart will feature a “batch” of multiple orders. The picker takes the cart into storage areas and picks the order, filling all his orders in a particular zone before he moves on. When the SKU is a slow mover, batch picks aren’t terribly efficient, since a picker could haul five or seven orders into a slow mover area to fill just one order. This is another case where shelving, bins, or racks are the best option. One thought is to use SpeedCell hanging compartments, which are ideal for slower movers due to excellent storage density within an easily accessible footprint (a single rack bay). You could slot many slow movers into a single rack bay or series of them with the system, using the higher storage density of the system to locate more slow-moving SKU’s in a tight space. The storage density and centralized location of the slow movers is very appealing for batch picks. Pickers can swing by the slow mover area and pull products all at once. Because this is an “assembly line” method of order picking, slow movers can be problematic. You could zone all of them into a single area, which could be appropriately staffed for a typical day/order volume. You could spread the slow movers into storage across all zones, which typically means they are at the end of a row of shelves. Since you have to carefully allocate inventory to zones to balance work flow anyway, either of these locations work. Most of the time, slower movers will be in shelves and bins, or racks. This method is similar in certain ways to both zone and batch picking. Basically, in a wave pick setup, all orders are simultaneously picked and the products are consolidated into shipments. It’s generally acknowledged as the fastest way to pick multi-item orders, with the potential downside that consolidation and sorting can be more difficult. When you have lots of SKU’s and many picks per order, wave picking is ideal. In terms of slow movers, handle them in wave picking similarly to the way you might in zone-pick schemes. 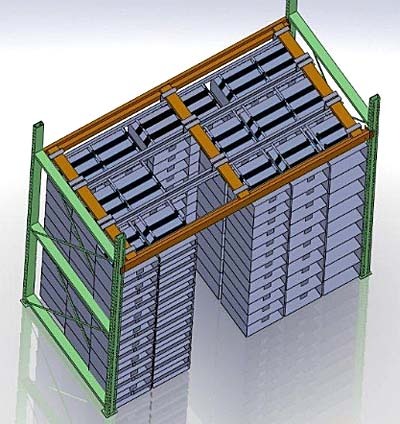 In some cases, carousels can be used for slower movers in either wave or zone pick scenarios, as they can consolidate them into one high density storage area. This assumes you don’t need carousel slots for faster movers, but remember that at times it may be easier to have those in flow storage, or even shelves in some scenarios. You’ll always need to re-slot your warehouse, and this can help you refine the best ways to store, handle, and process slow moving inventory – or whether eventually the worst performers are even worth your time and effort. One good idea is to assign items to tiers. Tier 1 items might be the SKU types that satisfy 50% of your total shipments. Consolidate these into easily accessible, higher density storage options. Slower movers are Tier3 (or lower), and can be stored in less-accessible storage positions. The key is to find ways to access your slower movers without excess walking, in an ergonomic and convenient way that doesn’t cause bottlenecks. 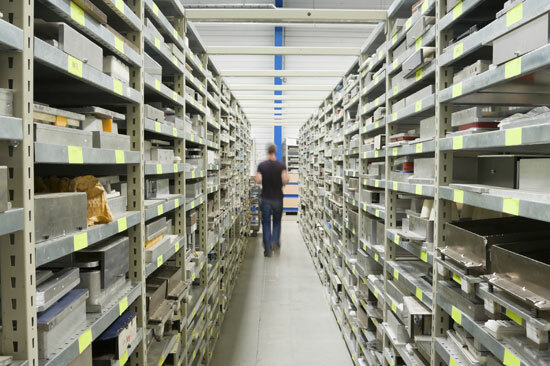 With so much attention focused on the most frequently picked SKU’s, a bit of time spent to intelligently store and access slower moving product can yield large productivity gains.